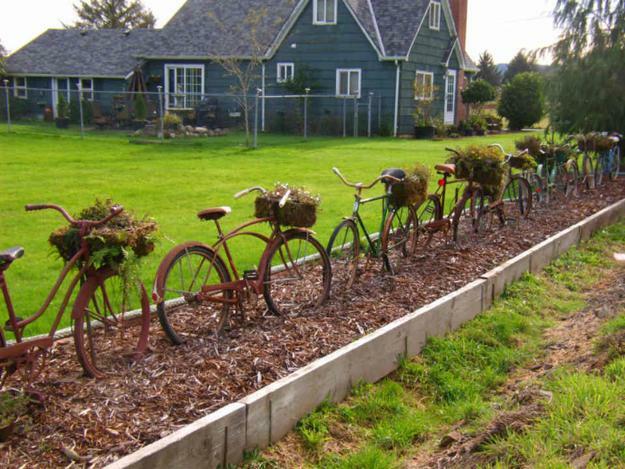 Bicycles are fun to ride and fun to recycle. 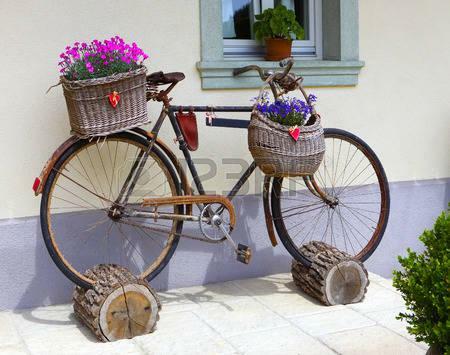 They make beautiful garden decorations with seasonal flowers. 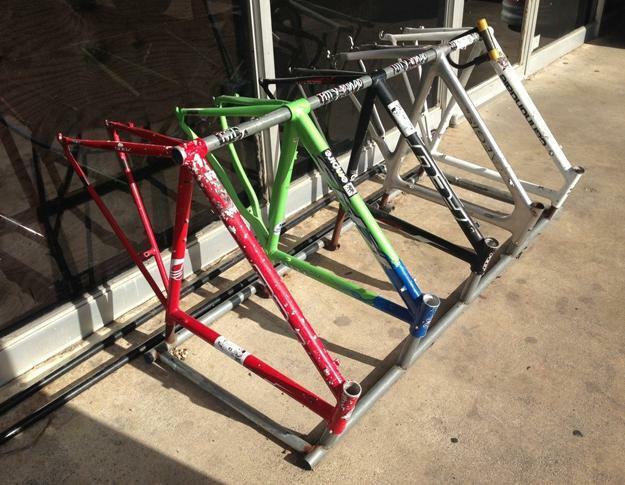 You can use parts designing wall racks, lighting fixtures, clocks, and outdoor furniture. 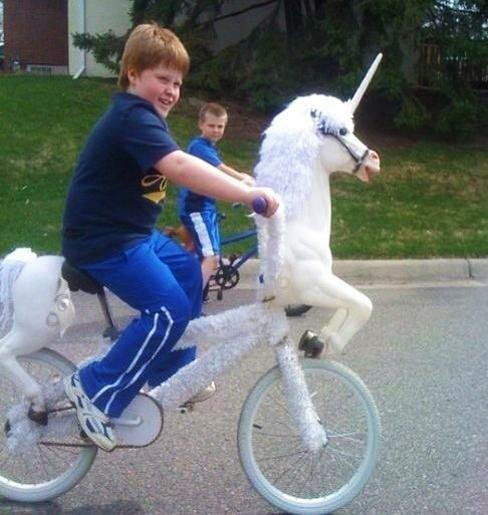 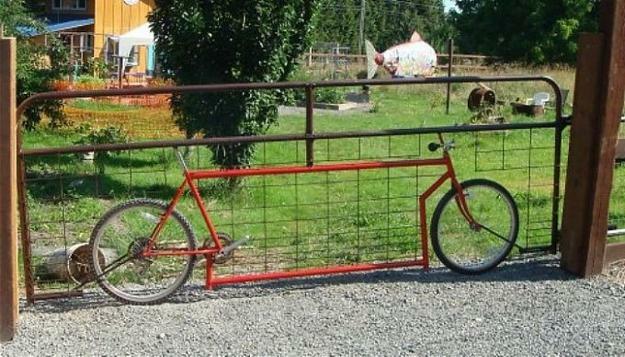 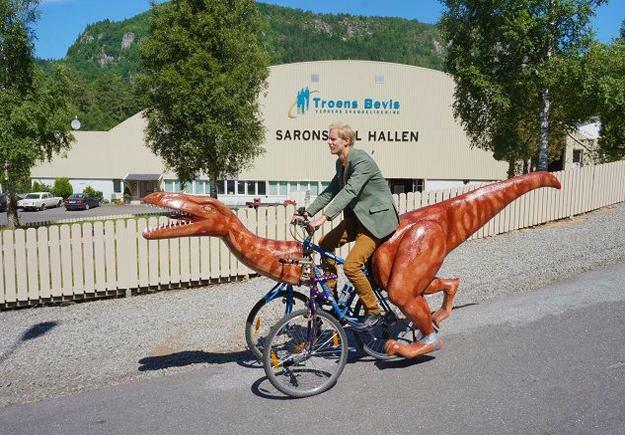 There are so many surprising things you can do with your bike. 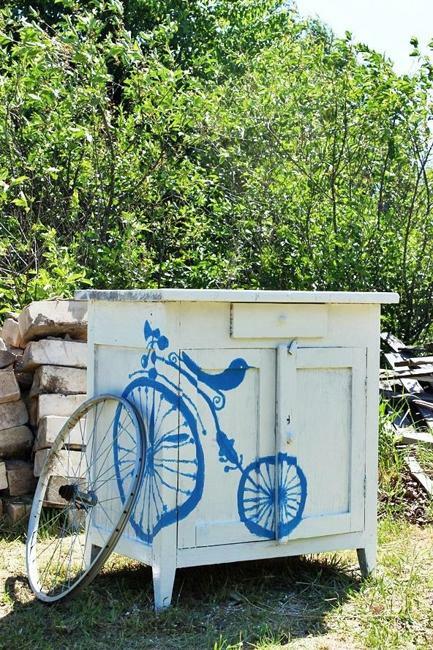 Lushome collection of inspiring designs shows how to give a new life to your old friend. 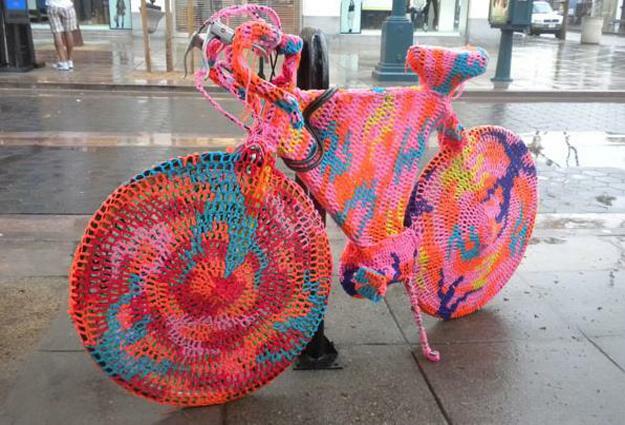 You can paint it a bright color or dress up in knitted clothes. 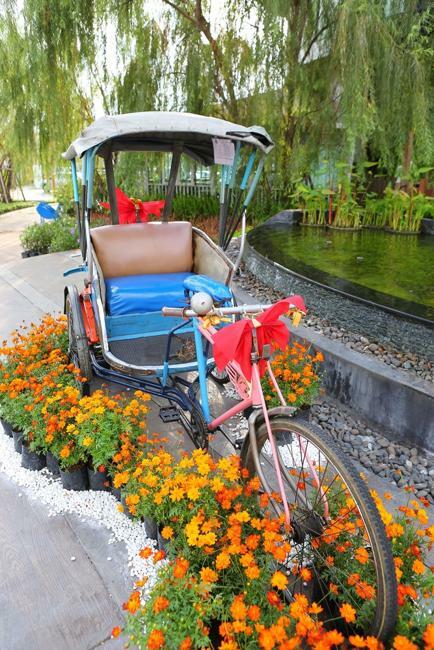 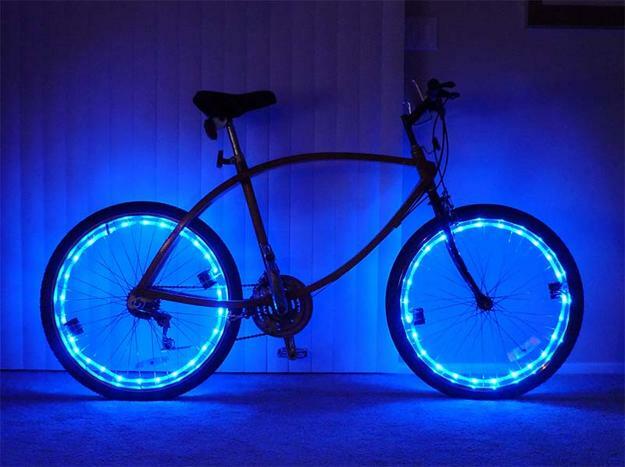 You can decorate your bicycle with colorful LED lights or big sculptures. 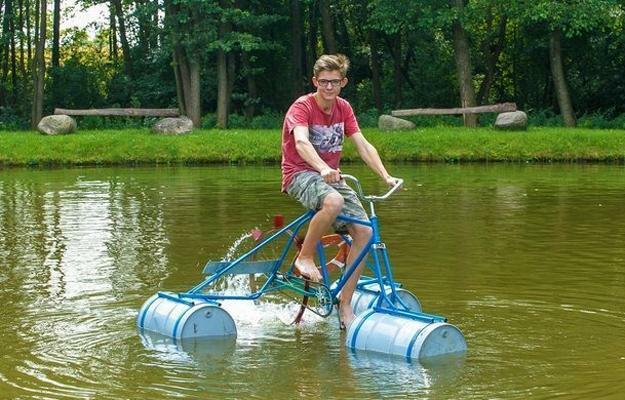 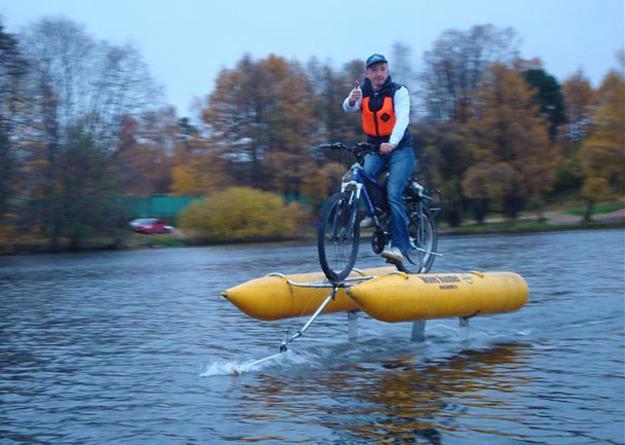 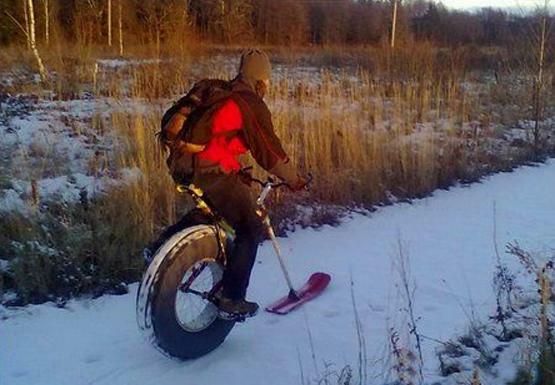 People turn their bikes into snow bikes with a front ski and floating vehicles. 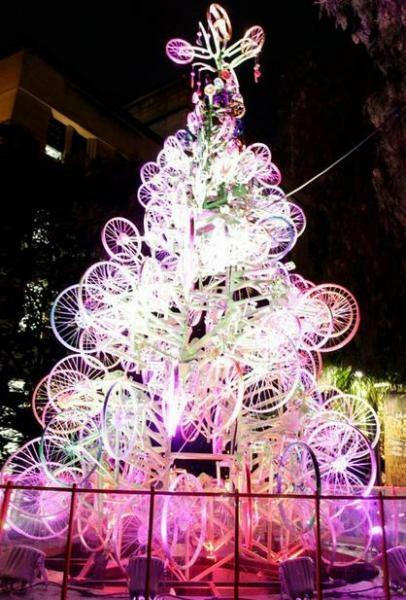 Bike wheels and chains offer unusual materials for various practical designs and impressive artworks. 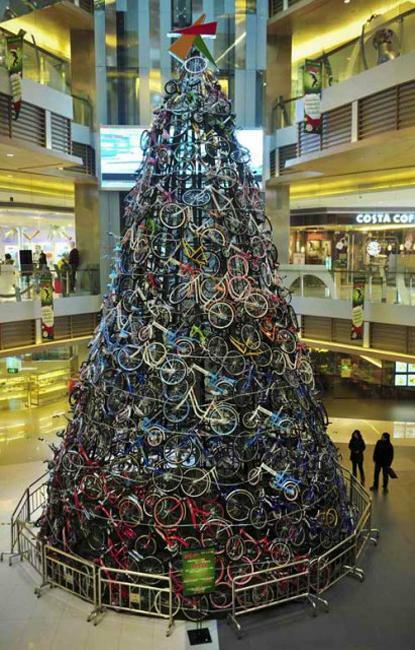 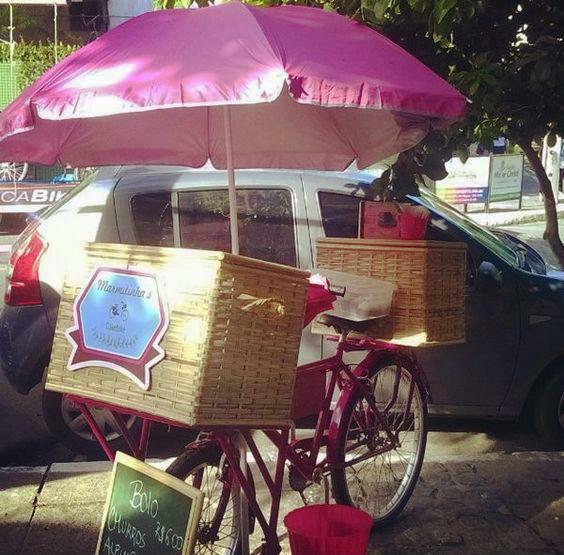 A bicycle can work as a sale stand. 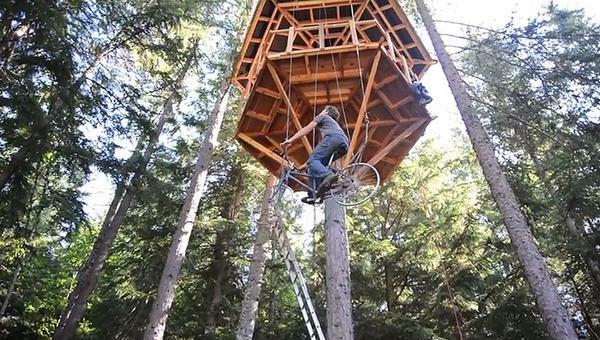 It can help moving up to a tree house instead of using a ladder. 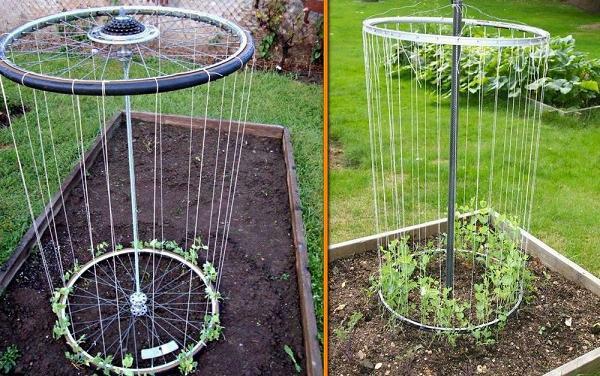 People build bicycle fences and train climbing plants to grow around old bike frames. 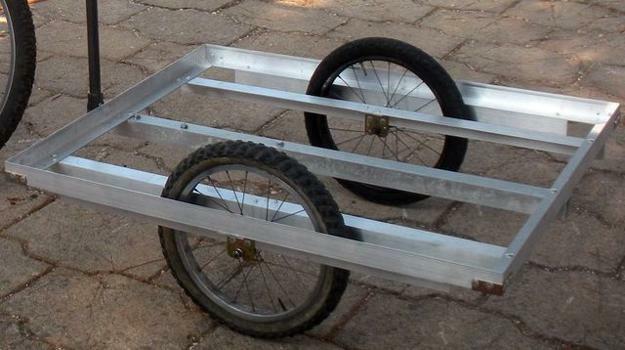 Recycling wheels for a new trailer and unusual garden borders are fun ideas that personalize a garden and save money. 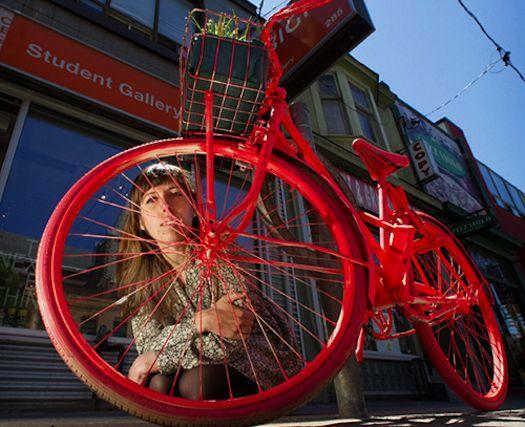 Bike art is impressive and surprising. 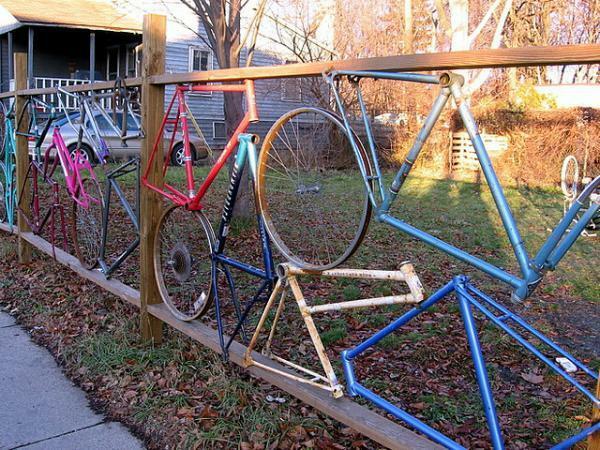 When creative artists transform everyday pieces of sports equipment into stunning works, people get inspired. 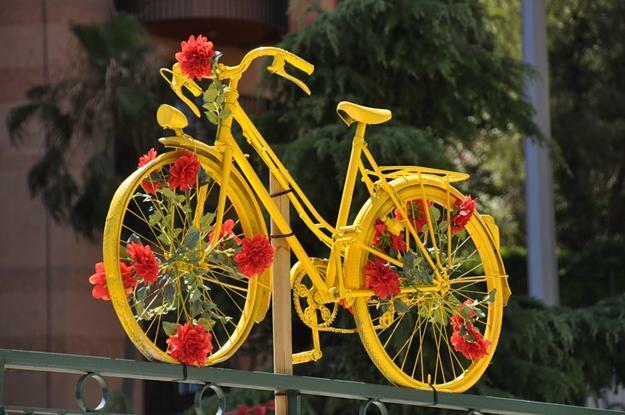 Bicycle chains are a fantastic material for innovative artworks and beautiful metal sculptures of pure genius. 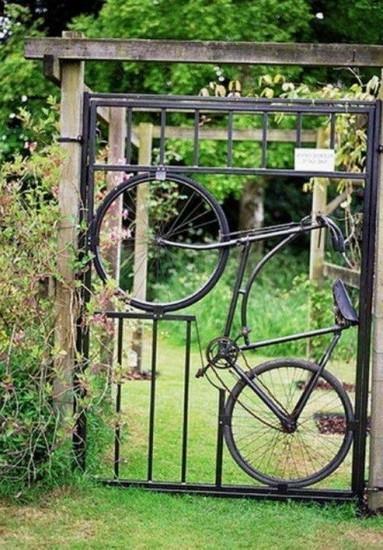 The creative mind can see bike parts with an entirely different perspective and recycle old bikes amazingly intelligently. 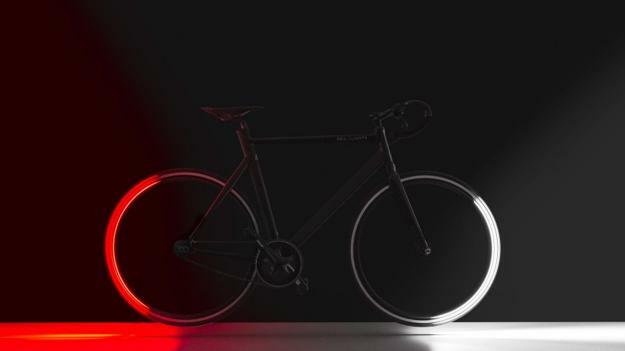 Here are some of the smartest ideas in the world showing how recycling enthusiasts, designers, and artists transform bicycles into something exciting, innovative, and functional. 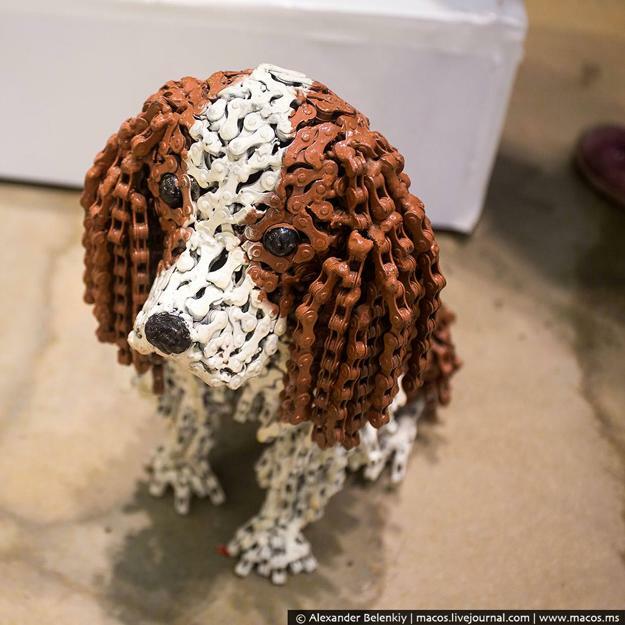 Patience and diligence blend with surprising recycling ideas turning chains, links, pedals and bike frames into amazing structures, functional pieces, furniture, wall decor, and contemporary art.